Water makes up a very large part of our bodies. Without it, we wouldn’t survive. The human body comprises 60% water, 70% water for the brain, 90% for lungs and 83% for blood, and that’s not all. It’s pretty clear that water is more than extremely important. It sustains us to keep us alive. We are regularly told to drink at least six to eight glasses of water a day and of course, this is the very minimum. To really maintain your body and mind in a happy, healthy state, you need to drink well over eight glasses a day, and even more in the heat. While the sun is also life giving, it can also take life away if we are not careful. The soaring temperatures caused by the sun that we can experience on a summer’s day means that many are at risk if they don’t stay hydrated. Pets, babies and the elderly, in particular, are at risk. Water is routinely lost through normal bodily functions. Eliminating waste, sweating and even breathing are all ways in which we lose water. When you are drinking less than your body is losing, dehydration begins. Usually the dehydration that people experience is mild to moderate. In cases of severe dehydration people experience extreme thirst, delirium, rapid heartbeat and a lack of sweat. In this case, the dehydration is life threatening. • A decrease in metabolism. When the dehydration is mild to moderate the answer is simple; drink plenty of water. Naturally, prevention is better than cure and ensuring that you drink plenty of water before you reach this stage is ideal. 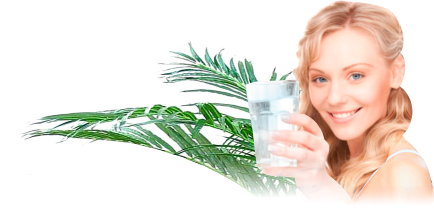 To really benefit your health, the water you drink needs to be clean and free from any harmful additives or parasites. Drinking filtered water is the best drinking water you can offer your body and the bodies of your family. Protect yourself from dehydration this summer. To install water filter systems from a reliable and reputable Brisbane supplier, visit Pacific Springs at https://pacificsprings.com.au/. You will see that there are a few different options you can go with and all are a fantastic budget-friendly solution to beating dehydration in this heat. This entry was posted in Water Coolers, Water Health and Safety (OH&S) and tagged hydration, water filter by Teala. Bookmark the permalink.